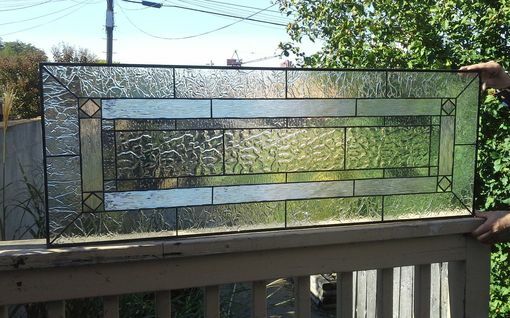 This mission style stained glass transom window can be made in any size, colors or textures of glass that coordinate with your decor. 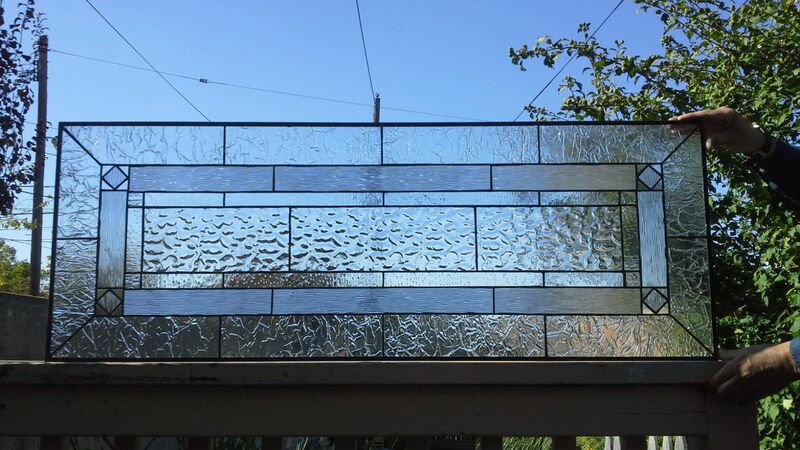 Glass: Combination of various clear textures. Wissmach flemish center bordered by corded and krinkle glass. Size is 45 7/8" wide X 16" 7/8. 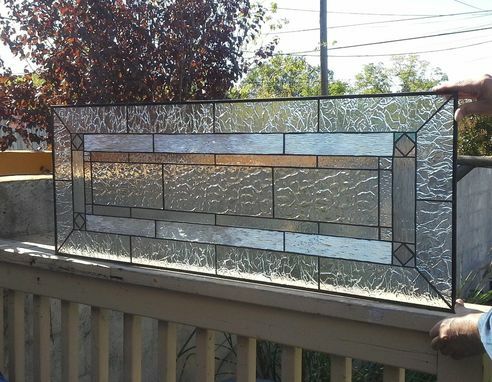 This elegant piece will add a classy touch to your home at the same time that will keep the privacy of your home.